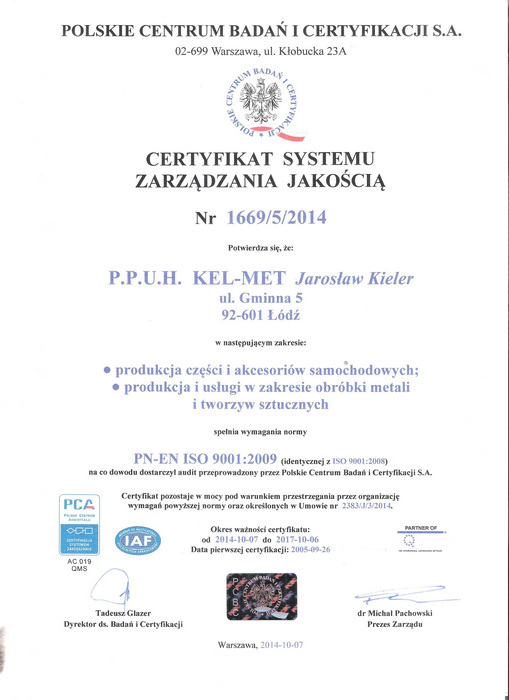 KEL-MET has hold the Quality Management System Certificate No. 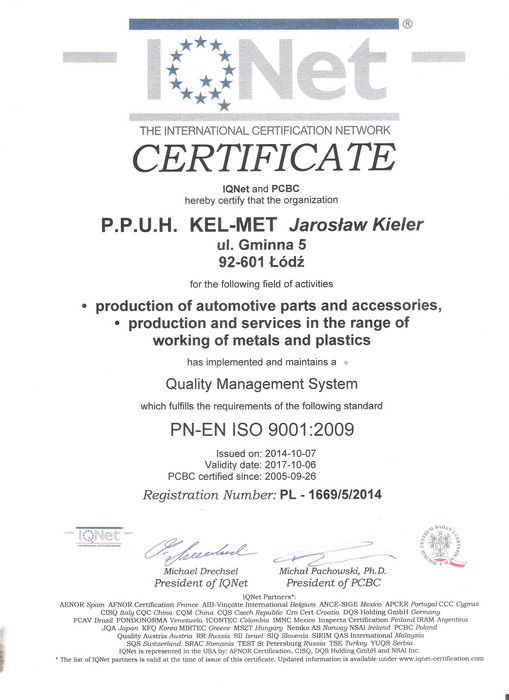 1669/4/2011 since 2005, including for production of automotive parts and accessories, as well as production and services in the field of metalworking and plastics. 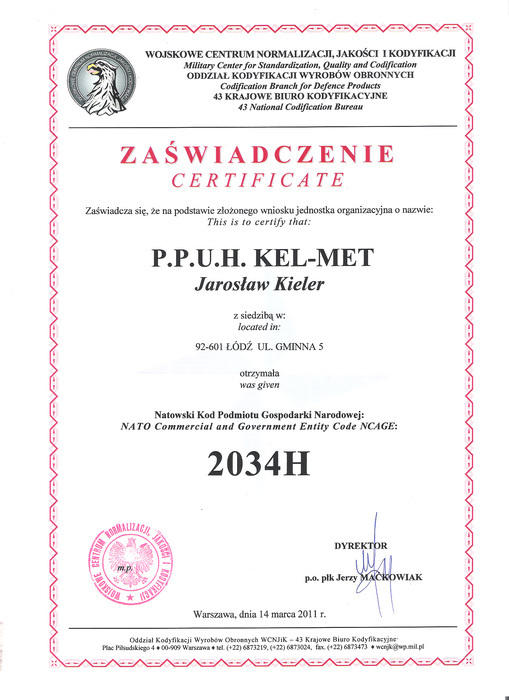 As of March 2011 our company can also boast the NATO Commercial and Government Entity Code NCAGE: 2034H granted by the Military Centre for Standardization, Quality and Codification, Codification Division Products Defence 43 National Codification Bureau. • Trading technology for military or police as set out in WT XIII Annex No. 2 List of products and technologies for military or police - WT - to the above. Regulation. Motor Transport Institute on 15.10.2001. 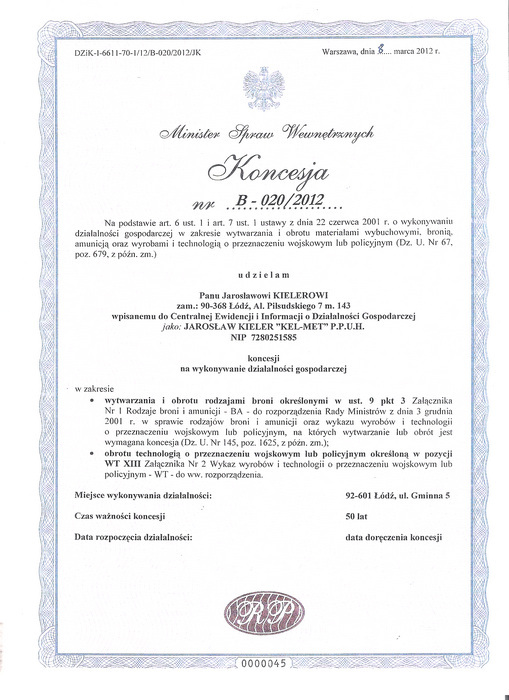 Awarded our company certification entitling products to bear the safety mark No. B / 15/129/01. The Ministry of Transport and Maritime Economy granted approval for a car horn system no-E20-28R 00 0140, the Ministry of Infrastructure, gave approval for the car horn system under code E20-28R No. 00-0609.